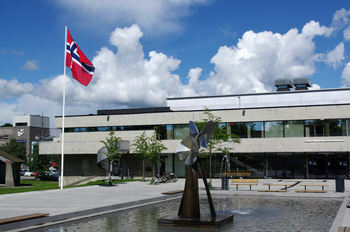 What’s on at Ås kulturhus for our international audience? The first Friday of the month (Feb-May) we have LYTTELUNSJ – or listen lunch - which is a really great way to get an infusion of wonderful classical music into your life. Take a lunch break with a bit extra – we supply the music (listen), you supply the food (lunch). Do you sing or play an instrument? Come along to ÅPEN MIKROFON I ÅS – it’s gotta be Norway’s best Open Mic Night! (19th Jan, 23rd March, and 15th June). Every month we have something for the kids! Yu Zhang - an interactive installation at the cross point between tech and art. (30th of March 12 - 3pm, free entry). Skrattvatten: Norway's (or At least Ås') best a Capella ensemble! With fabulous harmonies, and great outfits Skrattvatten is ready to charm you! Put on your 50s dress and bryllcream your hair to a shine - join in the fun! (June 14th). Hope to see you at Ås Arts and Event Centre soon! Myfanwy Moore - Artistic programing.